Every successful person has a painful story; every painful story has a successful ending; accept the pain and get ready for success. 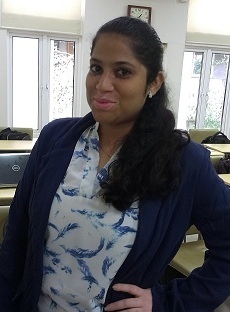 Aakanksha is pursuing MBA and shares her wonderful experience of internship days. It’s 12.30 pm. Yay! Lunch time. At Bosch, lunch is served in buffet style only from 12.30pm – 1.30 pm, with variety of vegetables, rassam, sambhar, rice and curd of course (I am in Bengaluru, South India), sometimes accompanied with a sweet dish. Nobody dared to miss that kind of food. An all-girls table was always reserved at the canteen. It was an un-proclaimed fact. No one but the girls of the company sat at that one. I was late today, meeting with my mentor had extended into lunch time. I was rushing towards the canteen to catch up with the girls, faster than Mary Kom, no Milkha Singh, who cares, my stomach is growling. And then comes that familiar voice. “Ma’am, your ID?” the security guy looked at me with accomplishment coupled with a big grin. He raised his hand and hinted 5th time, with an open palm. Normally I would successfully dodge him and then there were times like today, when he would spot me. Hence the grin. Internship at Bosch exposed me to many industry truths and vices, and each of them had plethora of learning. I learnt the importance of networking not only with the top management, but also with seniors who now are employees in the company. Networking that also extends to knowing the ground staff. When we are new to the company and map of the huge building is not yet imprinted in our minds, it is quiet awkward to ask our mentors for way to the loo. That’s when the ground staff comes to your rescue. My internship also taught me to take responsibility of a task when you know nothing about it. That’s when the actual learning begins. When I joined Bosch, I was fairly new to Microsoft Excel macros. My mentor said, take it as a challenge, and I did. Today I am well versed with it, if not a pro. I love it and am eager to experiment more with it. I learnt that compliments should not be taken to heart and criticism should be taken to the mind. I learnt to think a step ahead, the importance of tiptoeing to a goal and not jumping to conclusions. Two months of internship at Bosch and I am already craving to go back. On the last day of my internship, I was asked for my ID yet again, but this time the grin had disappeared. If Aakanksha’s experience motivates you, you can check the latest internships in Bangalore and Operations internships.